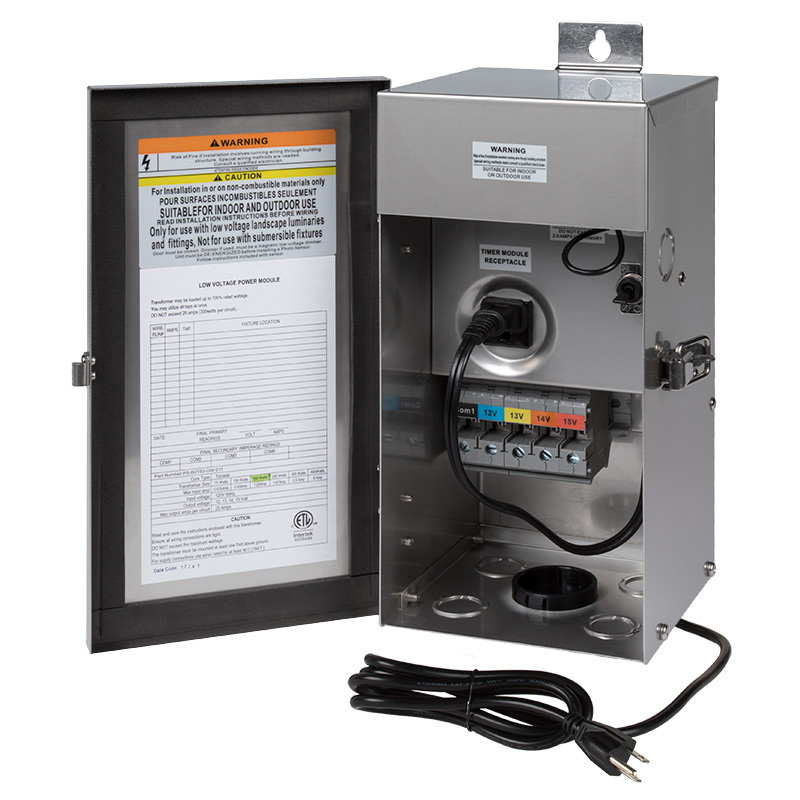 This low-voltage transformer allows you to power your landscape lighting system. 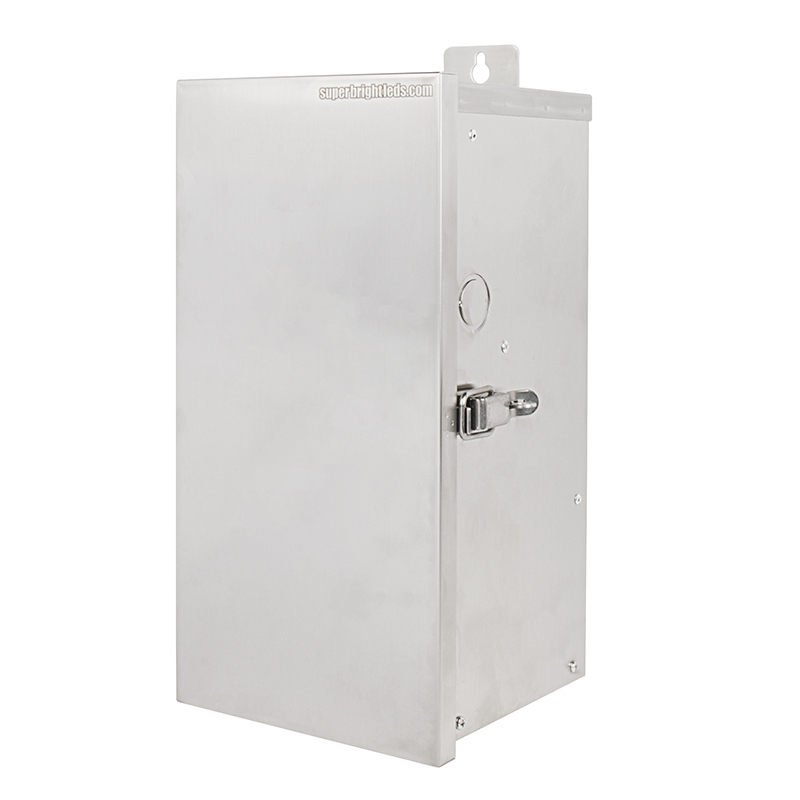 The transformer is rated for up to 150 watts of power, and with 4 screw-terminal voltage taps (12V, 13V, 14V, and 15V), you can install longer lighting runs without worrying about voltage drop. 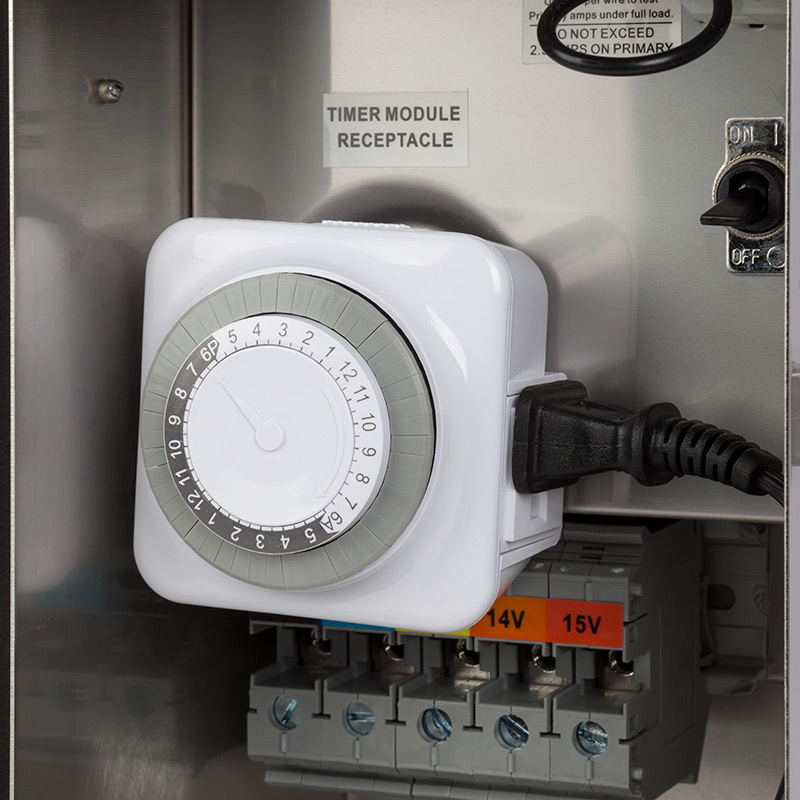 Easily plug a 3-prong timer or a dusk-to-dawn photocell sensor into the transformer's interior receptacles. 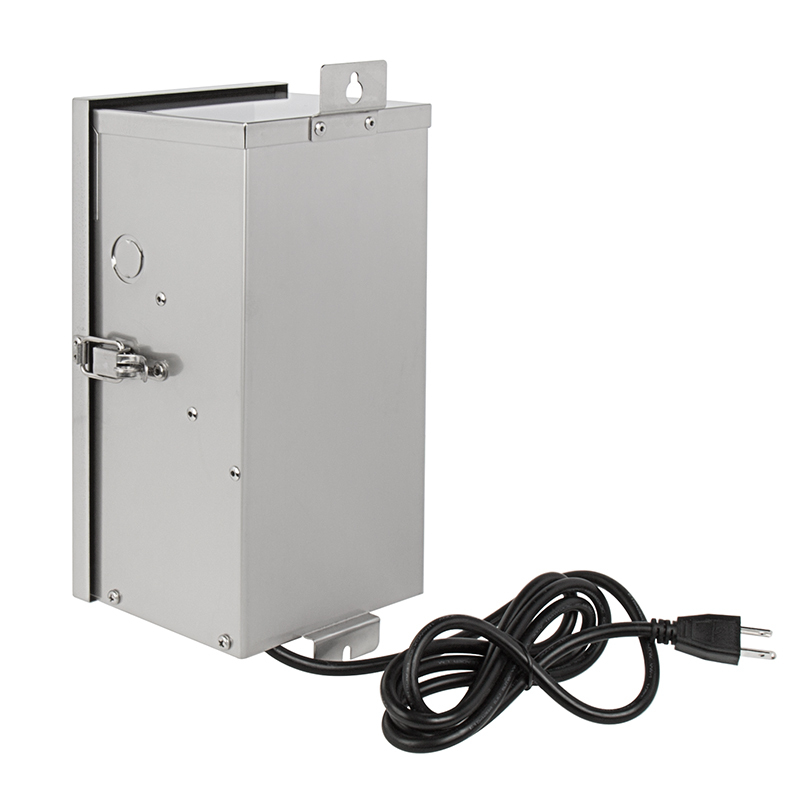 The stainless steel landscape lighting transformer has a lockable latch and is equipped with knockouts for post mounting, wiring, and a photocell. 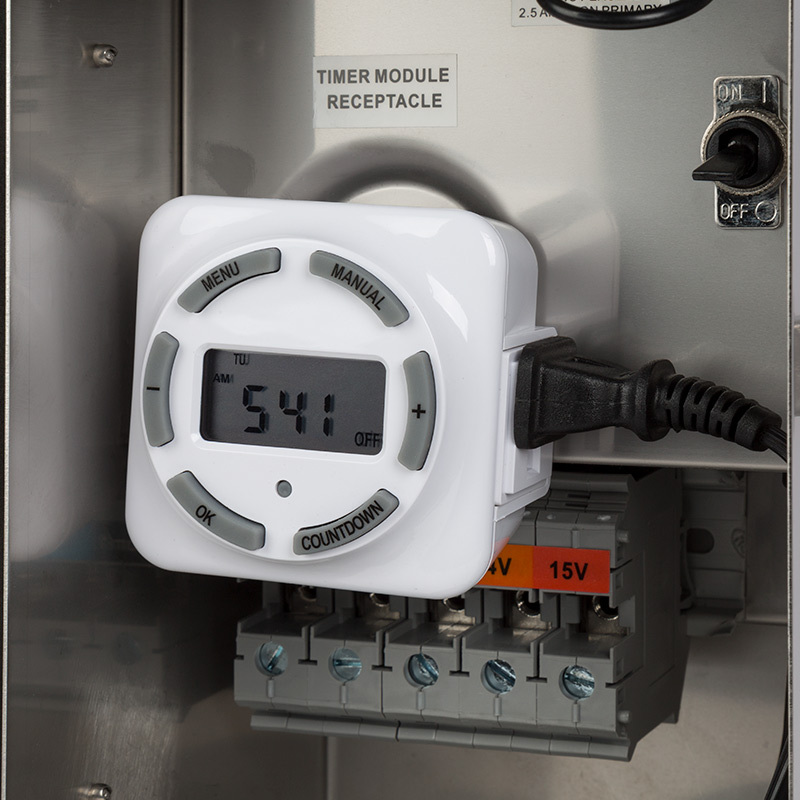 The transformer also has a toroidal core for efficient, quiet operation. 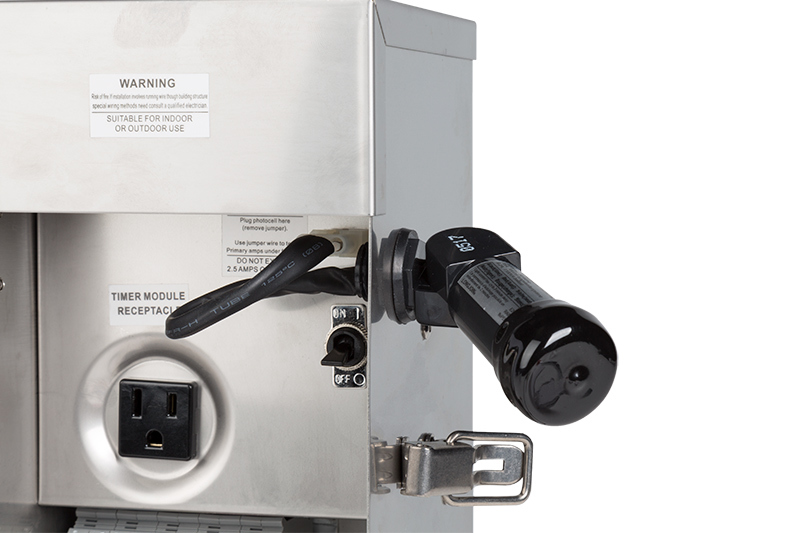 Mounting hardware is included, and the transformer plugs into standard 3-prong outlets. Item is sizeable and hefty. Multi-tap options are nice if you are serious about paying attention to voltage drops at longer runs. I ended up using the larger center knock out in the bottom plate (where runs enter into transformer) and installed a larger Grey PVC electrical coupling and lock rings just to finish off the appearance and ensure wires didn't get chaffed. On/Off toggle does not appear to be very high quality and does not feel as though it makes a positive on/off when turning on system ( had to check several times to make sure I turned it on). Caution when installing photo cell: use only center knock out and be careful when removing. Even though I was cautious, I felt I needed to install supports to give better stability to photo cell. Would be nice to be able to mount photo cell from either side. So far appears to be a nice power supply!